In the summer of 2011, the Los Angeles Times ran a fascinating set of articles, taken from years of research, detailing Sinaloa's inner workings. It included shipments of thousands of kilos of cocaine, fortune tellers, brutal beatings in Culiacan mansions, this was not the retail drug wars in La Paz or Tijuana, this was top tier traffickers, exposed, down to the tacos they ate, and beer they drank. The man at the forefront of that investigation, Operation Imperial Emperor, 2007, and several other follow ups, including Operation Excelerator in 2009, was Victor Emilio Cazares Gastelleum, a man whose family is embedded in the hierarchy Sinaloa's most serious traffickers. 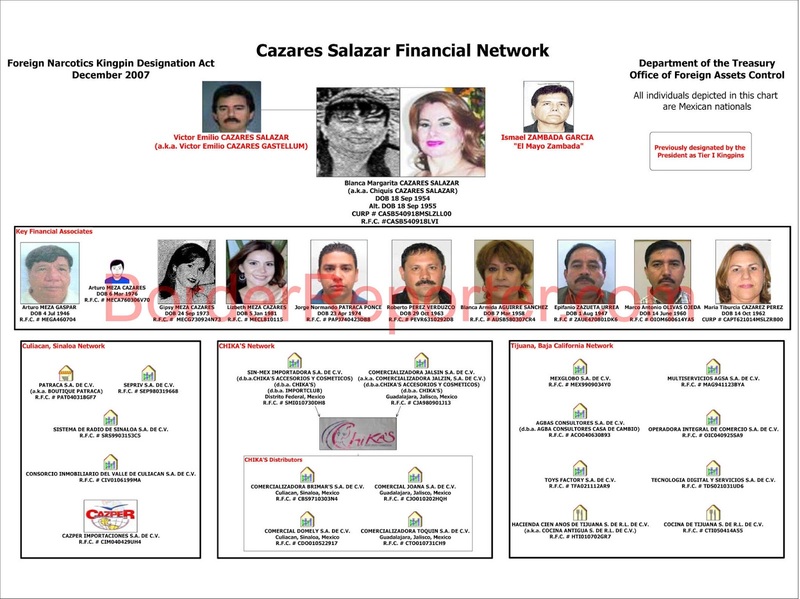 His sister 'La Empressea', is said to be close to Mayo, Blanca Cazares is alleged to have had some hand in the death of Edgar Guzman, Chapo Guzman's son, in Culiacan, in 2008. It is a murky theory for another thread, that involves mistaken identity, Vicente Zambada Niebla, and that fateful day in Plaza Rio, Culiacan. She is sanctioned in the United States, for money laundering through various businesses, in Sinaloa, and elsewhere. His wife was gunned down in Culiacan, during the height of the Arturo Beltran Leyva killings and counter killings in the city. Victor Cazares after the indictment in 2007, still enjoyed his near immunity in Culiacan, US law enforcement sources detailed in a follow up document, he was spotted by Mexican authorities in downtown Culiacan, at the gym, with a 20 person security detail. They didn't move on him. 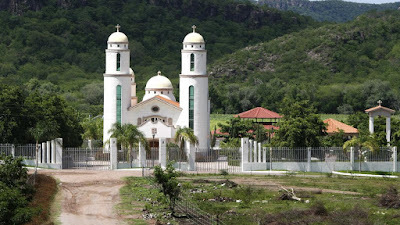 He vanished after that, hiding in Jalisco, and Sinaloa, until his capture in April 2012, by Mexican authorities, likely aided by US intelligence assets. Then, 48, Cazares had long curly hair and a t shirt, allegedly having plastic surgery to maintain his low profile. He appeared Monday in San Diego federal court, almost 10 years after the indictment was filed. He was denied bail, and his next hearing is April 8th, 4 years exactly from his arrest in Guadalajara. 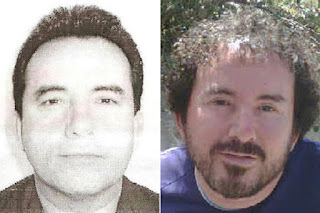 It's unknown when he was transferred from Mexico, he lacks the dramatic arrests and violence of other detained kingpins, but Cazares was one of the most prolific traffickers of the mid 2000's in Sinaloa, helping solidify their international grip, and rise to the most well known Mexican trafficking group in the world. 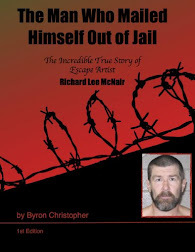 Carlos 'Charlie' Cuevas, a US citizen, ran Mexicali, on behalf of Cazares in the mid 2000's, before his arrest, and eventual cooperation, and reduced sentence. Cuevas, known as a big tipper at the barbershop, and his flashy BMW 3 series, wife and mistress with plastic surgery, and big house in the suburbs, was responsible for every kilo that crossed into Calexico. He was paid on that basis, about 500 per kilo, often coordinating loads of 500 to a 1,000, broken into smaller shipments, and driven across the border crossing. Cuevas, according to court documents reviewed by the author of the LA Times article, as stressed out, constantly, drinking Pepto Bismol, and buying bulk packing and shipping materials from Costco. Federal agents infiltrated his crew, despite their practice of dumping their phones multiple times a month, and began taking loads. One after another of Cuevas product went down, all across the United States. Cazares was livid, and demanded Cuevas travel to Culiacan to answer for the lost product. Cuevas, insistent, neither he, nor his crew were talking, went. 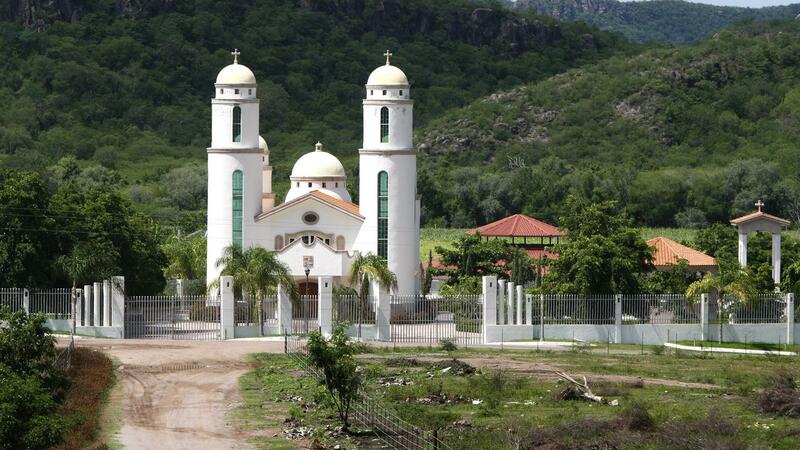 Cazares estate was, and still is, 30 miles outside Culiacan, with a water-slide, water park, church, and other features, it is impressive. Cuevas was given a chance, and a debt to work off, and a room with a bloody mattress, where a co-worker, unknown to him was beaten, after fleeing Los Angeles, in the aftermath of the same cocaine seizure that called Cuevas to the estate. Shortly, thereafter, millions more in cocaine seized, the feds arrested the Mexicali transport crew, and distributors, runners, pilots, stash house runners, and soldiers all across the country, hundreds in total. Cazares not among them. It is possible Cazares will cut a deal, and vanish into the sunset of the federal justice system, and one day return to his estate in Culiacan, it has, of course, been maintained in his absence. Y el M1 nunca supo quien? Chapo's people even admitted that Edgar's killing was a mistake made by CDS people. I guess a lot of you have had watched "the legend of shorty" right? They had no reason to lie or benefit from making up that story. It actually makes a lot of sense. It was most likely Macho Prieto beacause there were rumours that he had something to do with it (still probably an accident) after he got sent to work in Sonora. He got demoted cause he killed Chapo's son and then many people think he was set up in 2013 when he got killed. So Chapo/Mayo give up his location. 7 days before Macho got killed, one of Chapo's top guys in Sonora R5 got shot remember? My guess is that Macho was somehow involved. That was the final straw because Macho was always causing problems but did his job well. 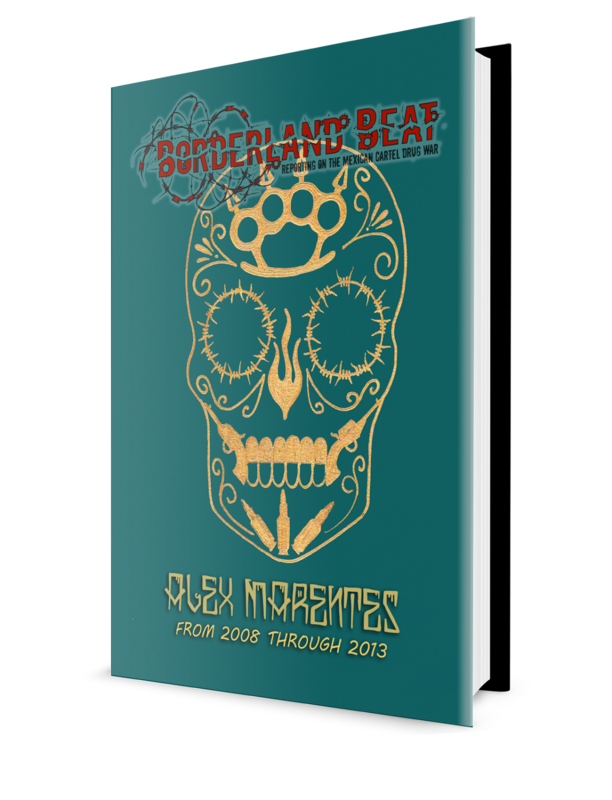 Very possible this Blanca Cazares had something to do with it as well. We will never know for sure but I believe this is the most credible theory. Of what happened to Edgar and Macho Prieto. We may never know the real story. But I have a good knowledge of narcos been from culiacan. But I am pretty dam sure this guy is right. Back in the 90s Emilio use to live in Bell,Ca. A lot of people piggy backing on the king will hope to get their share of the spoils when he is gone. So what happened to Cueves? The story just abruptly ends lol. What the he'll is happening with chapos females hahahhahah what a joke!!!! He's a joke!!!!! After plastic surgery he sports the fruity dumbass look LOL! But hey, it managed to work for him though right? And make millions on top of millions? Ok, if supposedly Emilio casarez nephew was with Edgar that day he got gun downed, how us Blanca, the boys aunt, gonna have a hand in their murder?